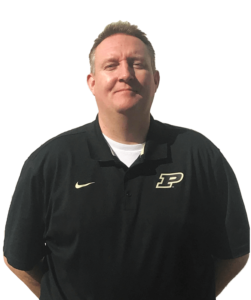 Bill Applebee has transitioned to Aspire as the Manager of New Business Development at the Purdue University Fan Relationship Management Center (FRMC) after serving as the University’s Director of Ticket Sales from 2014-2017. He oversaw the sales team that led the nation in attendance growth for football with an average per game attendance of over 13,000. Before arriving at Purdue, Applebee was the General Manager of Ticket Sales & Service at Bowling Green State University, where his team achieved the highest revenue year in school history during the 2013-14 athletic campaign. Applebee moved to Bowling Green after working as the Director of Ticket Sales for the United States Air Force Academy, where he established the first proactive ticket sales department for the school and produced three of the four highest football revenue seasons in Academy history. Applebee also worked with the NBA Developmental League (NBDL), Pittsburgh Pirates Baseball Club and the University of Notre Dame. The Erie, Pennsylvania native holds a Bachelor of Science in Business Administration and Sport Management degree from Robert Morris University. He began his duties Jan. 16th.